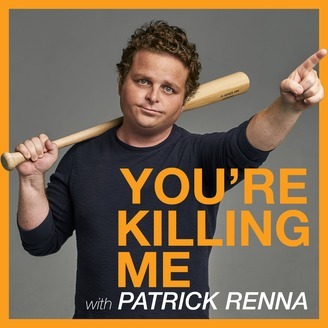 You’re Killing Me with Patrick Renna is a new show from and about actor Patrick Renna, the guy who played Ham Porter in The Sandlot. He’s joined by co-host Justin Mooney as they discuss Patrick’s life in Hollywood, current events and welcome in different friends and guests. Patrick talks about being heckled giving a speech at Mooney’s bachelor party dinner. Mooney loves Tesla’s... Patrick not so much. They do a dramatic reading of a scene from the Sandlot with a stunning revelation. Is Facebook listening to us? Are the Bears for real? Are the Patriots done? And finally a rebuttal on the controversy around “Baby it’s Cold Outside.” Happy Holidays!